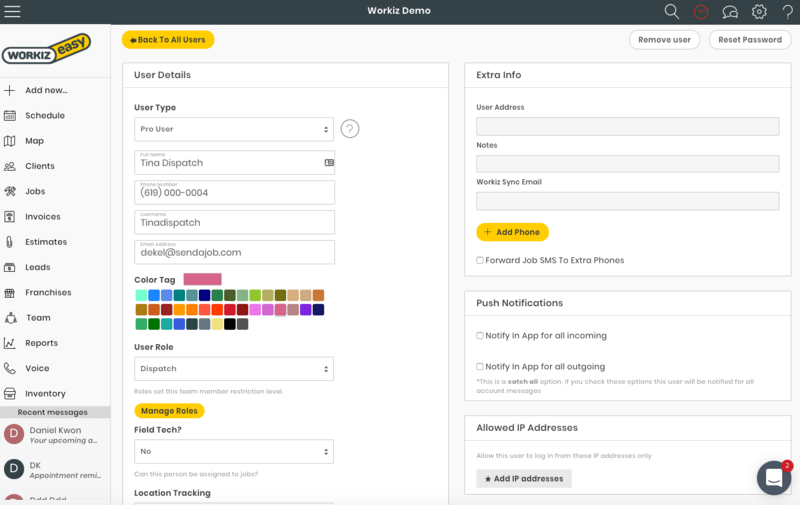 Workiz at its core is extremely customizable. 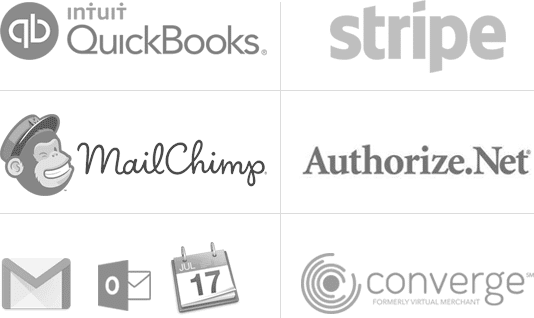 Our user rules and permissions allows you to design the hierarchy and restrictions of your employees in minutes. You can set different rules for different employees, choose what you want them to see and from where. 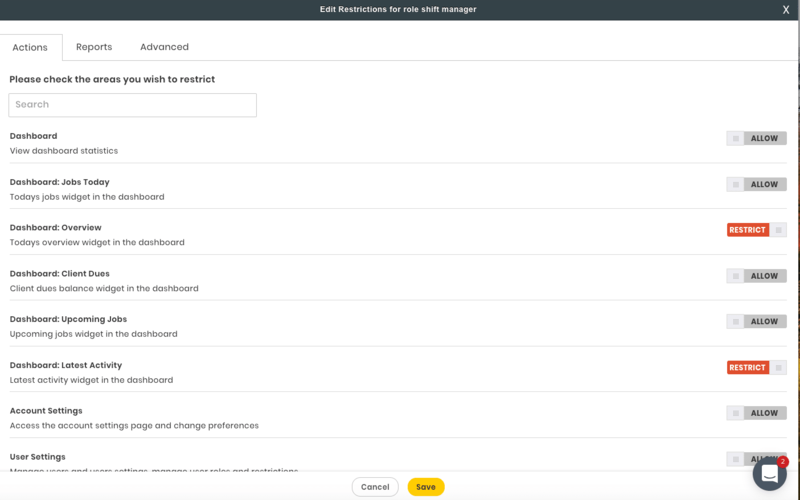 Create a new user by simply adding a new user and assigning him to a role. You can even grant limited access to your field agents allowing them to view only jobs that relate to them or limit access to only your office’s IP address.